We are often asked what our designs look like when completed, so please take a look at the photos. If you have sewn one of our kits, let us know what you thought. If you have a photo of a completed project please email it to us, and we will try to include it here. 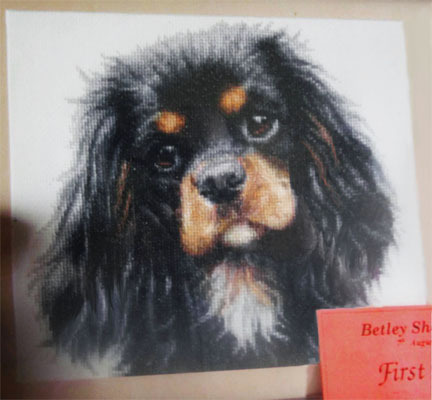 I stitched this Cavalier K.C Spaniel design and it won First prize in the Betley Show! I enjoy doing your designs, because they look so realistic, and there is no backstitch. I shall be buying more kits to stitch for next year’s show. I love stitching your designs. I have done so many, but still love sewing them. 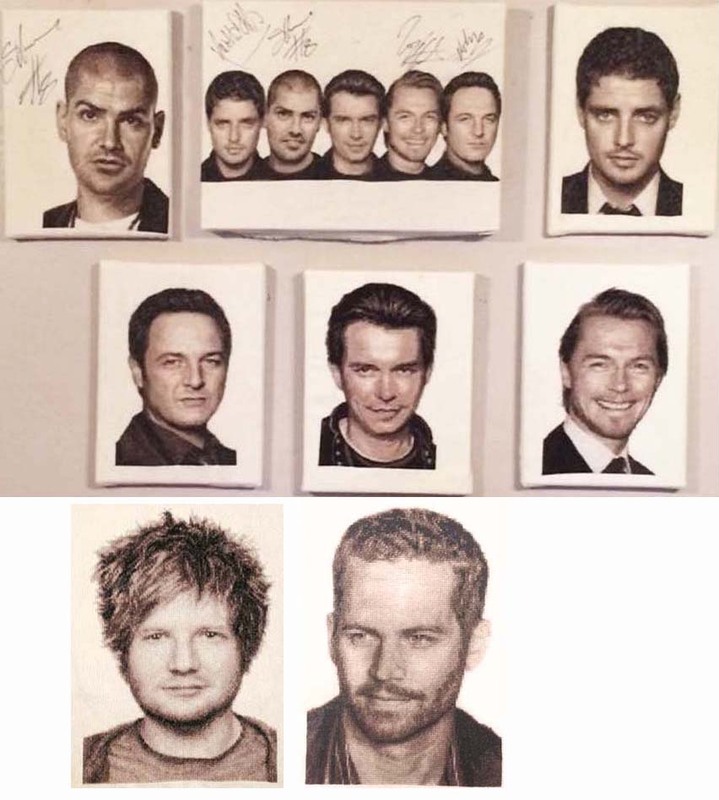 Ed Sheeran & Paul Walker are for my son – he was thrilled. The Boyzone ones are for me, they are brilliant, and I got them signed too. 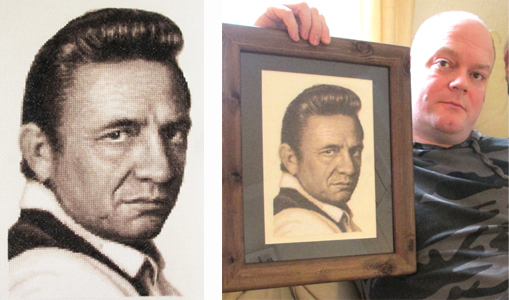 I bought a kit of Johnny Cash to stitch for my husband who is a huge fan. Here is the finished cross stitch which he was thrilled with. I was really pleased with the way it turned out and liked how you had enclosed a larger print version of the chart. 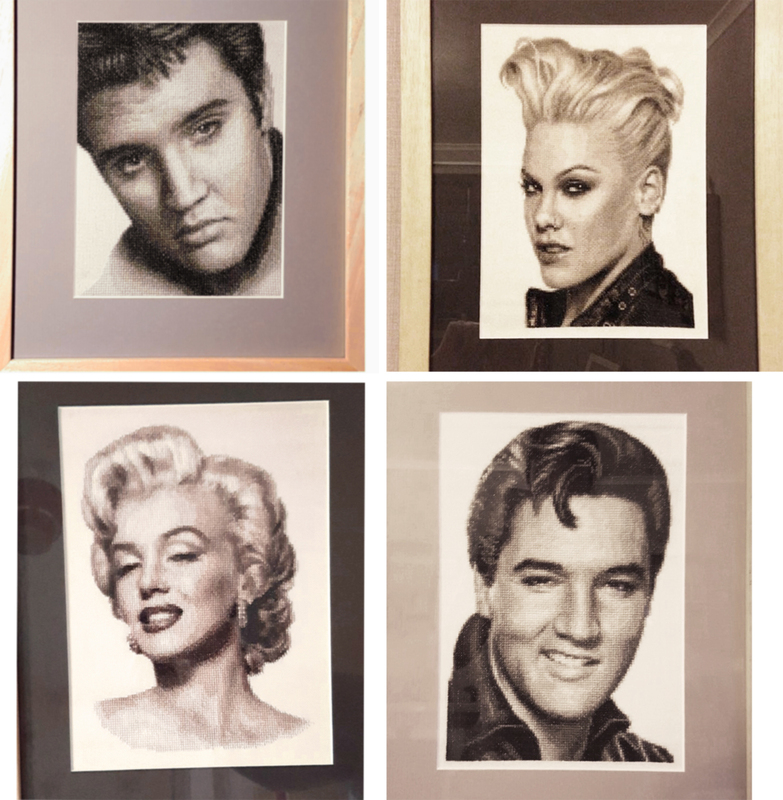 Here are another 4 completed projects in their frames. I think I am addicted – I have stitched so many of your designs now. 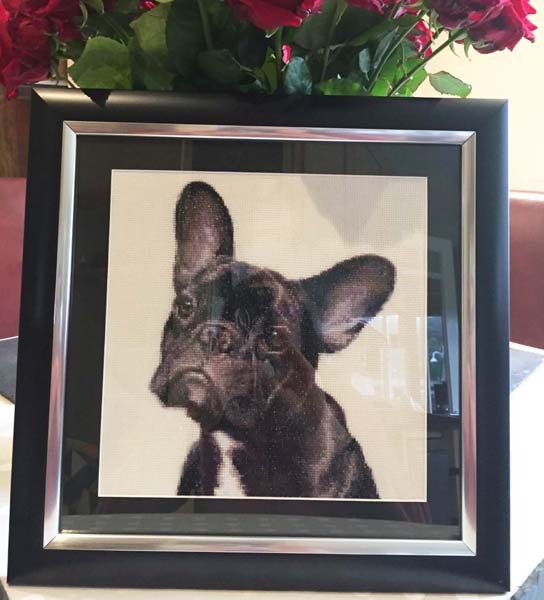 I have just got the black Frenchie framed. I am really quite proud of myself because it’s only the 2nd cross stitch that I’ve ever done! Here is a photo of my finished cushion. I stitched a patterned background to match my armchair. Thank you so much for such a gorgeous design – it was well worth the effort. 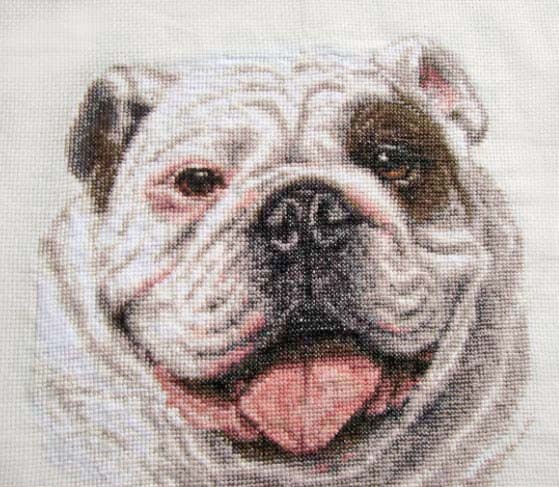 I have stitched nearly all of your bulldog designs. Here is the latest one. Now all I’ve got to do is frame it. Thank you for the wonderful Newfoundland designs. 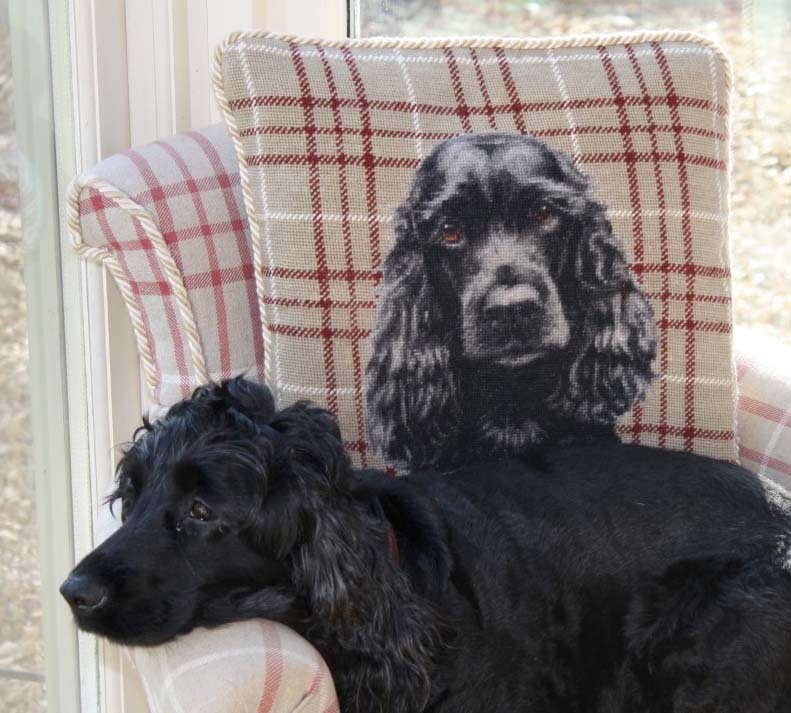 I made them into cushions for my mum – she loved them! 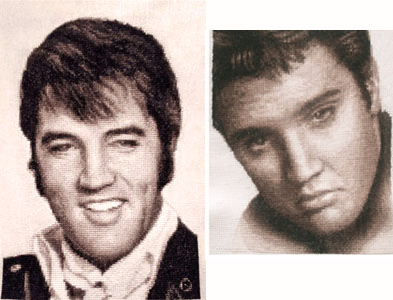 I love your Elvis Presley cross stitch kits because they look so like him. Will you be designing more? I don’t want to order from anywhere else because they don’t look like him when they are finished. As I said before yours are fabulous! I have almost finished your German shepherd cross stitch kit (GS 1). I just wanted to tell you how impressed I am with your designs, and I shall be returning to your site to buy another soon. Thank you so much for making such wonderful kits available!